Basement remodeling has become an extremely popular trend in recent years and the many different basement remodeling ideas out there ensure that there’s something available for every homeowner and every budget. Of course, the first step in any remodel is figuring out what sort of function you’re looking for the room to fill, followed quickly by what sort of basement remodeling costs you’re comfortable paying. If you’re unsure where to get started on remodeling your basement, consider these ideas and details. With them, you’ll be ready to turn that giant unused area of your home into your new favorite room. Given the size of a basement (often over 1,000 sq ft for full size) the options are endless for homeowners planning a basement remodel. Cost, likewise can be endless but with some planning the project can have a surprisingly reasonable cost while offering a staggering 77.6% return on your investment upon resale! So, whether you have your heart set on a home theater, a play area for the kids, or an entirely new layout that contains anything from an office and bathroom to a mancave and wet bar there are contractors and designers ready to get involved once your plans have been finalized. Finished and semi-finished basement remodeling ideas vary widely, of course. For your home, take time to think over what purpose each of your current rooms serve and identify what purposes you don’t find represented. Maybe, you need a quiet place all your own, or a wide-open area to entertain guests, or maybe you’re interested in setting up an apartment that you can rent out to earn some extra money. Whatever the case, there are a few issues you are certain to run into and a few expenses you are inevitably going to face. Planning a budget that’s appropriate for your basement remodel will depend largely on what you’re planning the space to be. But, at the very least you can expect to make the following investments if your new basement is going to last. Your basement likely holds most of your home’s water and sewage plumbing as well as your boiler and the base of your heating system. With that much moisture traveling through one place it’s very common for homeowners to find things like water damage, mold/mildew/pest damage, and even foundational damage to beams or concrete when they start work on their basements. Remodel costs can often be negotiated and debated, but this sort of damage requires prompt, thorough treatment if work is to proceed. Water damage to your foundation can not only hurt your house’s resale value, and the lifespan of your remodel, but may even compromise the structure of your home if it’s allowed to continued unchecked. Depending on what your basement remodeling ideas are, and what you’re intending the room to be, you may be interested in installing a new ceiling or floor to make your basement more welcoming and comfortable. Drop ceilings are very popular in finished basements since they can hide any exposed pipes or support beams while also providing a space for insulation to be brought in to better warm what can often be the coldest room in the house. 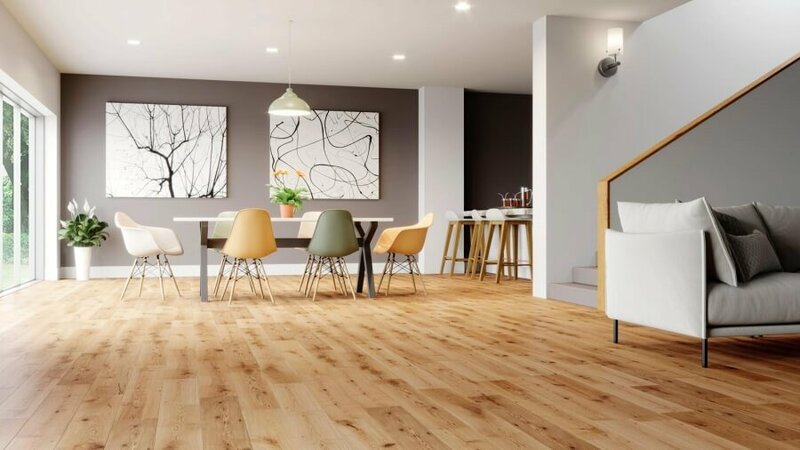 Likewise, installing a new style of flooring can help soften the feel of the room’s space by covering up the concrete which often makes up the basement floor. Nearly every style of flooring has been employed in basement finishing projects in the past, each with it’s own pros and cons. Check out this in-depth article from HGTV to decide which kind seems best for you. Lighting will always be a worthwhile investment for homeowners who’re trying to make their basements a more usable space. Simply because the basement has minimal access to natural light it is more difficult to create an inviting ambience. Installing appropriate lighting throughout your basement will do wonders to turn it into a more livable room and will also serve to highlight the focal points which your renovation creates. Remember, it won’t matter how much your basement remodeling costs if it’s not properly showcased. Basement renovations are a relatively recent trend in home remodeling but there is no doubting the benefits they provide. As a matter of fact, basement renovations are considered the best value for cost of all remodeling projects. It has been proven many times in the current real estate market that buyers are looking for finished basements as they provide an abundance of space to gather and make their own. But even if you aren’t planning to sell your home anytime soon, a renovated basement has a definite draw for the sheer number of possibilities it represents. Your basement ideas are unconstrained by layout or pre-existing fixtures, unlike every other room in your house. Meaning it could serve nearly any purpose you like and still be a better, more attractive use of space than it previously was. Basements have become a place for homeowners to splurge on themselves and their interests and so, can be the most satisfying remodel that a homeowner can have done.